Vehicle safety checks have always been part of the officially recommended syllabus for learning to drive. 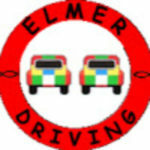 The source material can be found in the DSA publication ‘Driving the essential skills’ and ‘ The official DSA driving test’. 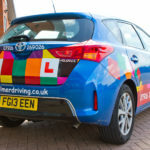 You’ll be asked 2 vehicle safety questions during your car driving test. 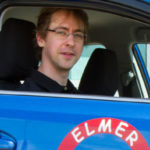 The examiner will ask one ‘tell me’ question (where you explain how you’d carry out a safety task) at the start of your test, before you start driving, and one ‘show me’ question (where you show how you’d carry out a safety task) while you’re driving. Operate control to wash and wipe rear windscreen (turn ignition on if necessary). Operate switch (with ignition or engine on if necessary), check that the main beam warning light is not lit. Activate the rear demister button. Engine does not have to be started for this demonstration. Check is carried out by using control (turn on ignition if necessary). Set all relevant controls including; fan, temperature, and air direction / source screen to clear windscreen and windows. Engine does not have to be started for this demonstration. Press the side window button. Tell me how you’d check that the brakes are working before starting a journey. Tell me where you’d find the information for the recommended tyre pressures for this car and how tyre pressures should be checked. Tell me how you’d check the tyres to ensure that they have sufficient tread depth and that their general condition is safe to use on the road. Tell me how you’d check that the headlights and tail lights are working. You don’t need to exit the vehicle. Tell me how you’d know if there was a problem with your anti-lock braking system. Tell me how you’d check the direction indicators are working. You don’t need to exit the vehicle. Tell me how you’d check the brake lights are working on this car. Tell me how you’d check the power-assisted steering is working before starting a journey. Tell me how you’d switch on the rear fog light(s) and explain when you’d use it/them. You don’t need to exit the vehicle. Operate switch (turn on dipped headlights and ignition if necessary). Check warning light is on. Explain that they are only for use in seriously reduced visibility (100m or less). Tell me how you switch your headlight from dipped to main beam and explain how you’d know the main beam is on. Open the bonnet and tell me how you’d check that the engine has sufficient oil. Open the bonnet and tell me how you’d check that the engine has sufficient engine coolant. Open the bonnet and tell me how you’d check that you have a safe level of hydraulic brake fluid.